A superb 3 BR/ 2 BA mountain cabin on a beautifully treed 0.79 acre homesite in High Country Pines II. 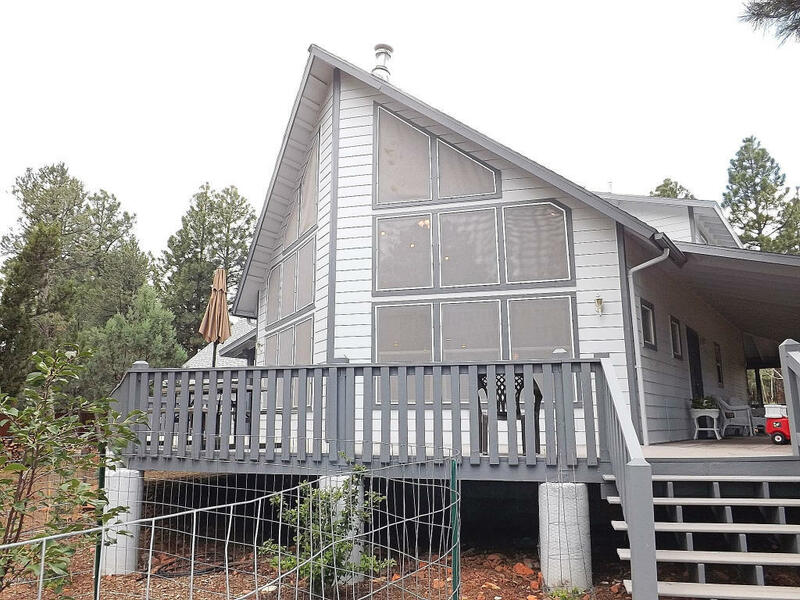 This cabin features a great room design with an enormous wall of windows overlooking a magnificently treed greenbelt, a wood burning freestanding stove, ceiling fans, carpet and laminate flooring, a large master suite, a loft and central heat and AC. The exterior offers low maintenance siding, a 3/4 wrap around deck with composite decking, a detached oversized 2 car garage and a drip system. All of this on a heavily treed lot that backs to the greenbelt and on a private cul-de-sac. This cabin is serviced by a private water and a private sewer service.